The financial crisis of 2007 took its toll on basically every country around the world, but things are turning around. How long did it take the economies to grow again? That depends highly on the countries. 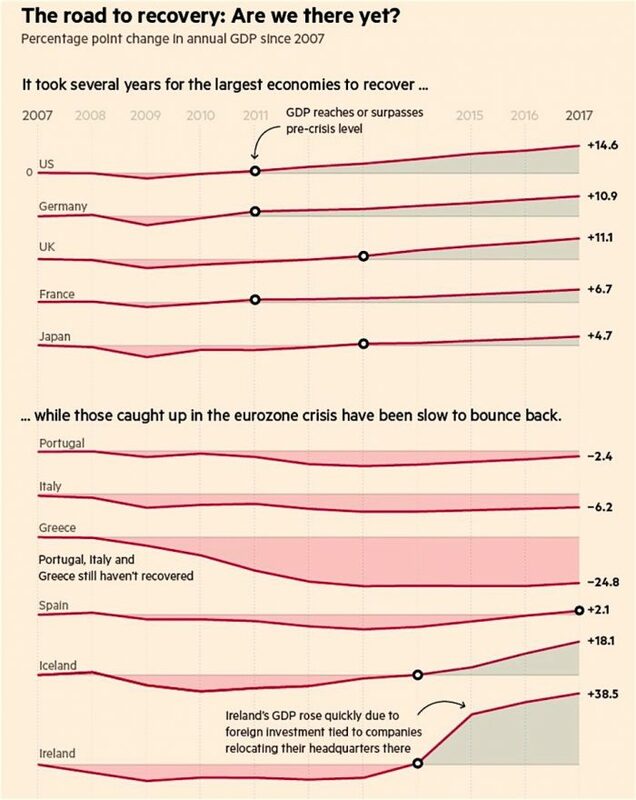 Financial Times created an infographic about how western countries recovered from the financial crisis that started 10 years ago. Not surprisingly, the stronger a country was before the crisis, the faster it recovered. The US, Germany and France, for example, regained their GDPs after four years, and it only took Japan and the UK two more years to reach their pre-crisis state. The less developed countries of the Eurozone had a worse time as several of them did not manage to make a turnaround since the crisis. Some countries – like Ireland – were luckier, but that is due to huge foreign investments. However, it’s not only about how fast recovery was. Developed countries took a smaller hit to their GDPs, while some developing ones were hit severely, making their recovery harder. 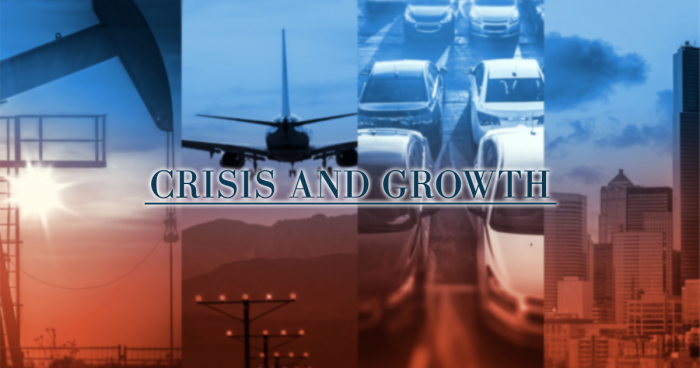 Greece – the country facing serious problems – for example, lost almost 25% of their GDP since the crisis and it’s not even sure yet that they can turn that around in the short term. This chart shows only western countries, but there are other global parties which took great hits. China is still growing fast, but they are slowing down too: last year, China’s GDP growth was only 6.9%, first time since 6 years that it slipped below 7%. Russia has its own problems: it’s in – or close to – recession for years now, and new sanctions just took place against them.